Saturday Night Live imagined an alternative reality when Donald Trump never became president last night. 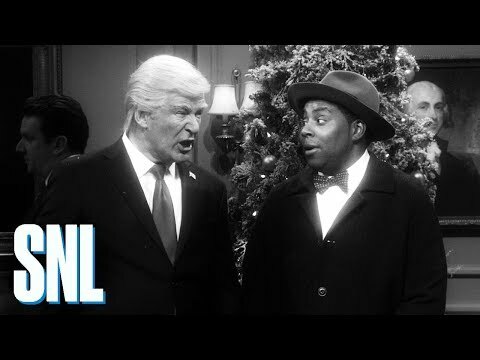 The spoof of It's A Wonderful Life also featured Ben Stiller as Michael Cohen, Matt Damon as Brett Kavanaugh and Robert De Niro as Robert Mueller as well as the full-time cast members. 'Those are smiles,' Kenan Thompson's angel Clarence replied.